Ford Motor Co. today announced the relaunch of the Ranger mid-size pickup at the Michigan Assembly Plant in Wayne, including ride-and-drive off-road activities. The truck, which goes on sale early next year, returns following an eight-year hiatus. Ranger is the first among several all-new vehicles for Ford, which plans to replace more than 75 percent of its current North American portfolio by 2020. The automaker has invested $850 million to build new vehicles at Michigan Assembly Plant, including the all-new Ranger for North America and the new Ford Bronco, scheduled to begin production in 2020. For Michigan Assembly, a 369-acre plant that opened in 1957 building station wagons, the start of Ranger production marks a new era. Beginning in 1966, the plant began a 30-year run of building Broncos, one of the original sport utility vehicles that gained popularity in post-War America. Michigan Assembly was among the most profitable factories in the world when it made Ford Expeditions and Lincoln Navigators from 1996 to 2008. Earlier this year, Michigan Assembly ended production of the Focus small car to make way for a massive retooling in preparation for the Ranger launch. The plant has 3,000 workers. Powered by a 2.3-liter EcoBoost engine and class-exclusive 10-speed automatic transmission, the Ranger will deliver driver-assist technologies and connectivity features as well as best-in-class payload, gas towing, and gas torque. 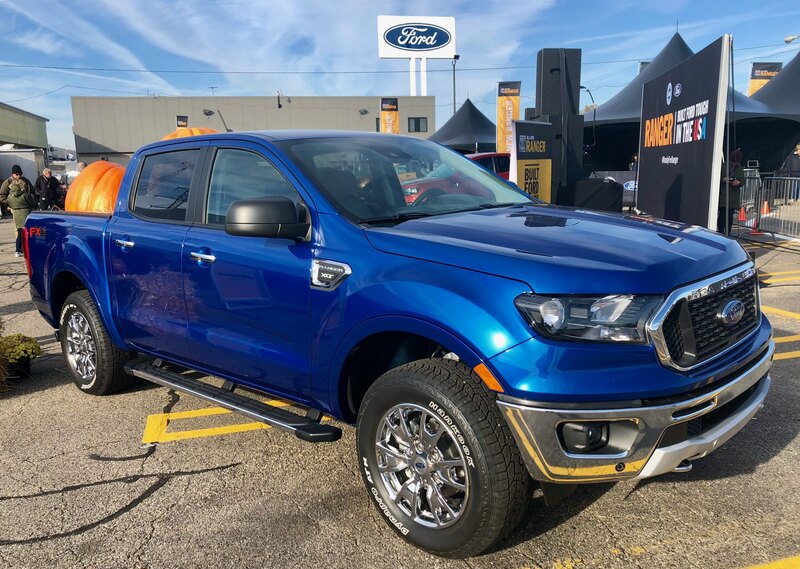 The Ranger also offers standard Pre-Collision Assist with Automatic Emergency Braking, available Blind Spot Information System with class-exclusive trailer coverage, and available SYNC 3 with Apple CarPlay and Android Auto compatibility. An available FX4 Off-Road Package includes Terrain Management System, which provides multiple selectable drive modes and all-new Trail Control to help get through the toughest challenges.